Carpets are a great addition to any home and can leave a nice comfortable and cozy space. The problem with carpets is that they tend to get stained from everyday living. This can be from juice being spilled, candy and food being dropped or foot traffic that brings in all kinds of dirt. The carpet will need to be cared for appropriately to ensure that they remain looking good and feeling clean. There is the normal every day cleaning that usually includes vacuuming to remove some dirt and dust that is constantly settling on the carpets. It will also include regular carpet cleaning done by a professional to remove those hard to treat areas and high traffic stains. One part that needs to be done in between the professional cleaning is the stain removal. Although many of the stains can be removed when the carpets are cleaned it is a great idea to treat them when they happen. This will lessen the chance they have to set in. Leading Carpet Cleaning lists stain removal treatments that you can try on your own carpets. Baking Soda Odor Neutralizer Stain Removal: If you have a stain that is still wet you may want to try to the method using baking soda. This is a great way to not only pull the moisture out but also to treat stains that are known to cause odor as well. You want to lay the baking soda on the affected area and allow it to sit for several minutes and up to overnight. After you have allowed it to sit you want to vacuum it up and that should help to remove the stain and the odor as well. Salt for Wine Stain Removal: Have you ever spilled red wine on your carpets? That is one of the worst spills and the wine can soak into the carpet fibers fast causing a huge stain. If you see the accident and have a bottle of salt you can treat the spot. You want to use a white wine to dilute the color of the red and use a dry cloth to dab the area. Then you can use salt to spread around the area. Let is set in for about ten minutes and vacuum it up. This will drastically reduce the look of the spill. Club Soda for Pet Stain Removal: If you need to treat a wet stain and you have a bottle of club soda you can start the treatment right away. Club soda works best on stains from pet accidents. Start by dabbing and blotting away the excess urine to prepare it to be cleaned. You want to soak the area in the club soda and allow it to sit. You can then soak it up with a dry cloth which will help to pull up the stain as well. Ice Cubes for Gum Stain Removal: Have you come across a chewed up piece of gum stuck to the carpet? This can seem like an impossible task to get the gum out but there is a way. The best way to get gum out of your carpet without damaging the carpet is to use a bag of ice. The ice is left on the spot to freeze the gum so that it can be chipped away. You can use a butter knife or credit card to scrape the frozen gum. You can repeat the process as necessary to get all the gum out. 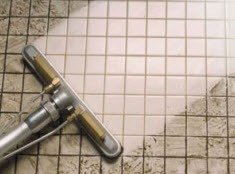 Leading Carpet Cleaning offers expert cleaning and restoration services. Contact us to schedule your next appointment today! Some reasons you may need water damage restoration are; bursting or leaking pipes, issues with the plumbing system, buildup in areas prone to collecting water, such as crawl spaces, attics and basements, faulty or malfunctioning household appliances, HVAC (heating, ventilating and air conditioning units) issues, natural disasters like flash flooding and other weather-related water problems, accidents like overflowing bathtubs and toilets, sewer back up and long term basement humidity. If for any reason you have the need for water damage restoration it’s important to realize that it is a multi-step process that needs to be done by an experienced, certified, licensed contractor. 1. An initial visual inspection will determine the appropriate action needed to reverse the negative effects that water damage can cause. When it’s completed, if there are no safety hazards, the contents are secured and restoration can begin. 3. Once all wet items have been removed and extraction is complete, the drying process can begin. The equipment is commercial grade and includes air movers, dehumidifiers, wood floor drying systems, and heaters to generate dry air and increase circulation and evaporation of the air. Each day is monitored to see the process being made. This step is very important to prevent the growth of mold. Normal drying time will be anywhere from 2 to 4 days but will depend on each case. 4. The damage will then be reassessed after all is dry to assure there are no hidden pockets of moisture that can lead to further water related damage or mold growth. 5. After the water damage has been taken care of, and the property has returned to the dry standard, we recommend carpet cleaning and deodorizing to remove any musty odors. Reconstruction is the final step. Once reconstruction has been completed, you will once again have a safe and healthy property. Proper maintenance and care of the appliances in your home is key to preventing water issues. Septic tanks should be looked at monthly. Everyone in the home should know where the water supply cutoff valve is so they can turn it off in the event of an emergency. If you notice your water bill is on the rise you may have a leaky pipe or other problem. If you notice black spots (mold) of the walls, you should contact a water restoration company. If water damage restoration isn’t done correctly it can lead to mold. Exposure to damp and moldy environments can cause a variety of health effects, or none at all. Some people are more sensitive to mold. These people can experience nasal stuffiness, throat irritation, coughing or wheezing, eye irritation, or, in some cases, skin irritation. Call Leading Carpet Cleaning when you need water damage restoration. Benefits of Hiring a Professional Carpet Cleaner for Move In & Move Out Carpet Cleaning in Whittier, CA? If you are like most people, the list is rather long of things that need to be done in order to move. Moving can be a stressful and busy time. Your attention is often pulled in many directions, and if there is any chance of simplifying the process, most people want to take it! Cleaning the home you are moving in or out of can be a large source of stress. Cleaning the carpets is a big part of getting that done, and is one job on the list that has to be completed. Leading Carpet Cleaning is here to tell you why it is a good idea to hire a professional to clean your carpets for your next move. When moving out of an apartment or house, there is often a security deposit that you are hoping to get back in full. Most landlords expect to have a perfect house left behind in order to get that money back. Cleaning the carpets is a big part of having the home look like the way it did when you moved in. By having a professional clean the carpets, you are going to get a more thorough job done. That way you don’t have to worry about renting a machine and buying the right carpet cleaning solutions. 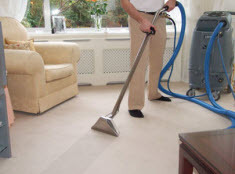 It is ideal to clean the carpets once you have completely moved out of the home. This will ensure they are left pristine for your landlord. If you are selling your home, your home will appeal to more buyers if the carpets are properly cleaned. 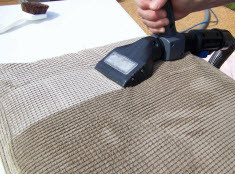 With the right equipment and tools those stubborn stains can be removed leaving your carpets looking practically new. Having your carpets professionally cleaned is an important part of the home staging process! Whether you are a buyer or renter, moving into a new home is exciting. The last thing you want to do right after you move in is clean the carpets. By having them cleaned by a professional before you move in, your carpets can truly be deep cleaned. If at all possible, it is ideal to have them cleaned a couple days before you move in. This will give the carpets enough time to completely dry. If the previous owners or renters had any pets, it is important to have the carpets professionally cleaned to better improve the air quality as well as get rid of any unpleasant smells. You don’t want traces of their pets lingering upon your move in. After you have had professionals clean your carpets, it is wise to have mats or plastic laid down on high traffic areas to help avoid tracking dirt and debris through your newly cleaned carpets while moving in. You definitely want to protect your investment. Whether you are moving in or moving out, having Leading Carpet Cleaning professionals clean your carpets is one way to simplify the process. Our carpet cleaning technicians will get rid of stubborn stains and unwanted smells that so often linger after previous tenants move out. Call us today with any of your floor and upholstery cleaning needs!